Getting a home loan is a lot of paperwork. Above that, getting a home loan for self-employed is another level of difficult if you have no idea about the methods of the bank. But those who made you think this definitely does not have any idea about loans. With all the new regulations of the bank policies, it has become comparatively easy to get a home loan for self-employed people. As self-employed people would not have the documents of proof of income which are usually required for applying for a home loan, there is a low-doc home loan for self-employed which does not require documents related to income, assets, and liabilities. 1. Your Business Activity Statements (BAS) for the past 12 consecutive months, verified by the Australian Tax Office (ATO). 2. Details of your ABN and Certificate of Incorporation. 3. A confirmation that your income has been registered for GST for a minimum of 12 months. 4. Six months’ worth of statements for your primary business or personal transaction account. 5. Proof that you have been self-employed in the same industry for at least one year. 7. Details of your business registration name and number. Look for the Offers Available: Do not just approach the bank where you have your savings and business account. It may be possible that other banks may be offering better home loans for self-employed. Do your research thoroughly. Keep Your Financial Details Up to Date: Keep all the documents and details like financial statements, income tax returns, and notice of assessments of the last 2 years ready and easily accessible. Ensure that your financial statements have been lodged with the Australian Taxation Office. Get to Know How You Will Be Assessed: The bank has a different way of assessing the assets of self-employed loan applicants. So, before applying for a home loan for self-employed, you need to get the details about the bank’s method of assessment. Ensure that you are self-employed: Home Loans for self-employed have higher interest rates. So, as long as you can get away with being an employee, never go for home loans for self-employed. For example, if you are a contractor or a subcontractor, some lenders may categorize you as an employee. Look into Your Credit History:Credit history is what the bank always takes seriously while loan assessment. Ensure that you do not have any pending credits. Ensure that your credit card payments are up to date. 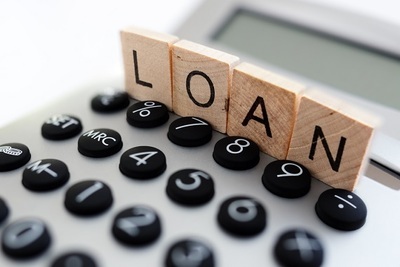 In case you already have a business loan, you may be charged a higher rate of interest. List Down Your Business Add-Backs: What do you have as business add-backs? These will help to increase your income that the bank would take into consideration for your loan. These include car allowance, depreciation, excess superannuation contributions, non-cash expenses, non-recurring expenses, etc. The Taxation: Keep in mind that the tax office would use your low-doc income declaration as evidence of your income and may take a tax audit. So, ensure that you have the figures right or you may land in a tax headache later on. Don’t Ignore the Future: keep in mind the future and also consider the worst-case scenario. Your financial needs are likely to change and assessing the changes beforehand can prevent the pain of having to re-work your home loan regularly. Follow these tips strictly. A home loan is a long-time commitment and you do not want a long-term problem by taking things lightly during the loan processing. These tips would ease out the process of getting a home loan for self employed people.